Movie memorabilia is a very popular choice for collectors and many people collect Star Wars memorabilia. This light weight blaster does not fire but it was used for scenes in Star Wars: Episode V The Empire Strikes Back and Star Wars: Episode V1 Return of the Jedi. 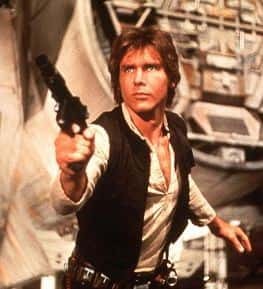 During scenes that required Han to fire the blaster a heavier model was used. The location of the original blaster which was created for New Hope is currently unknown, it is believed to have been lost. It is not known who purchased the gun as the buyer has chosen to remain anonymous. 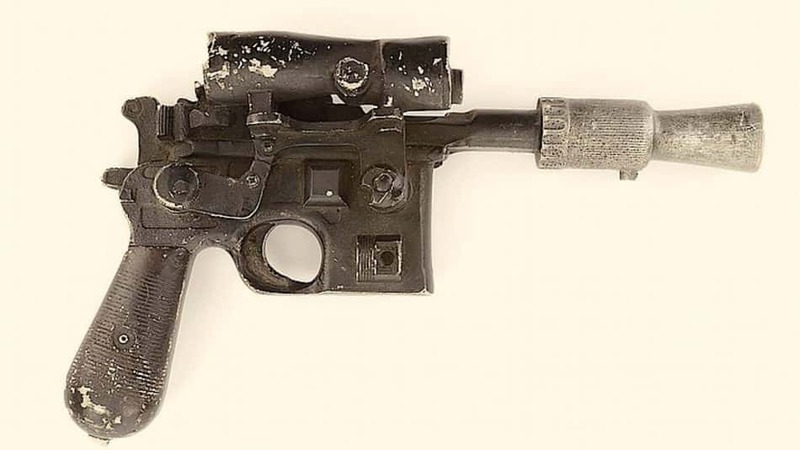 The DL-44 blaster was modeled on a semi-automatic German pistol called the Mauser C96. It was estimated that the 20 day auction would result in a price of between $200 000 and $300 000. So it did sell at the low end of the expected price. Star Wars memorabilia that is auctioned is very popular and attracts many would be buyers. In 2012 a Snowtrooper Helmet sold for $276 750. In 2011 a camera that was used by George Lucas while filming Star Wars: Episode IV - A New Hope sold for the generous sum of $625 000! Collectors are always on the lookout for cool stuff from Star Wars, so there will most like be more interesting auctions to watch in the future.